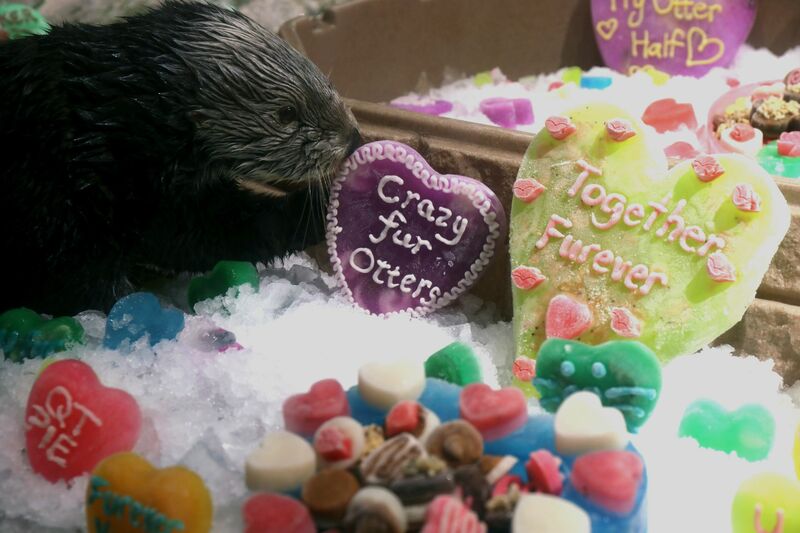 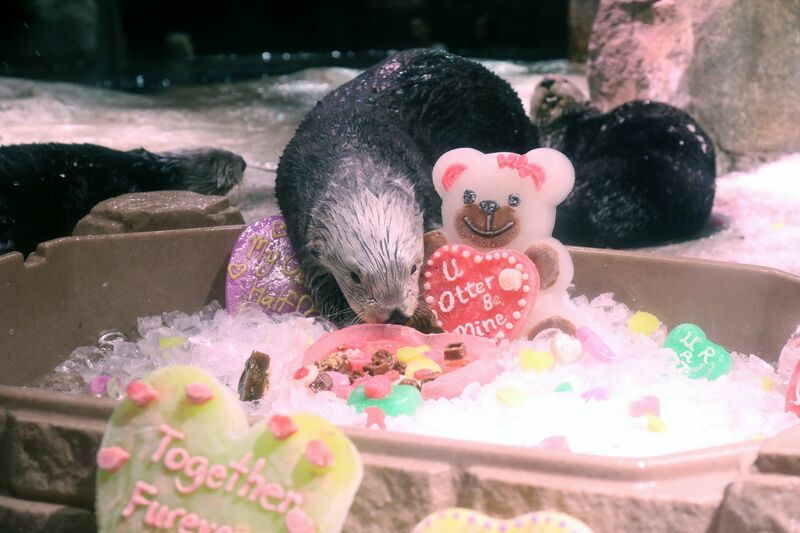 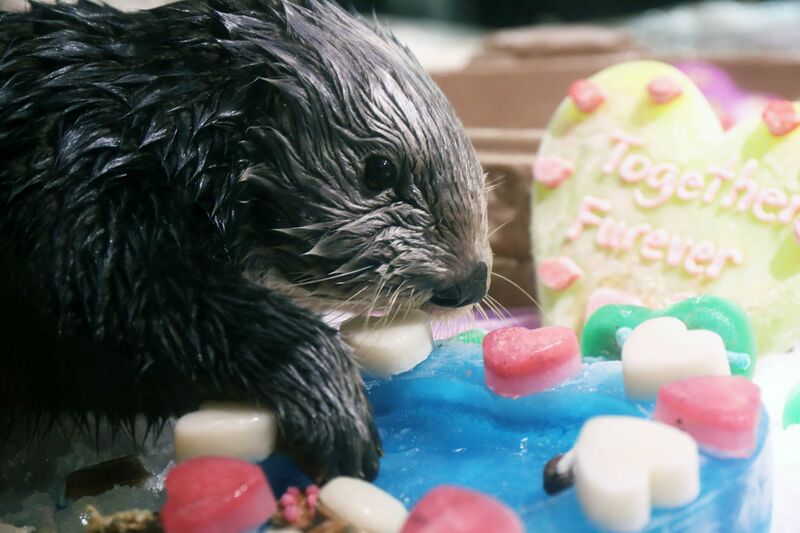 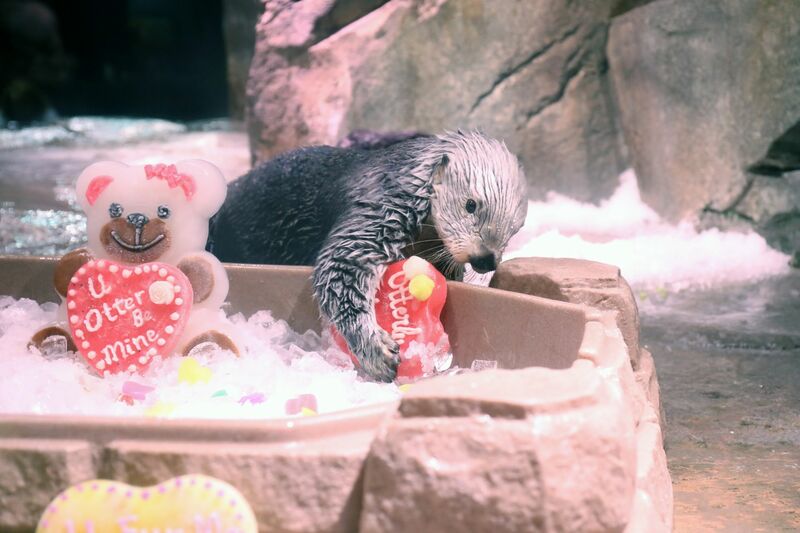 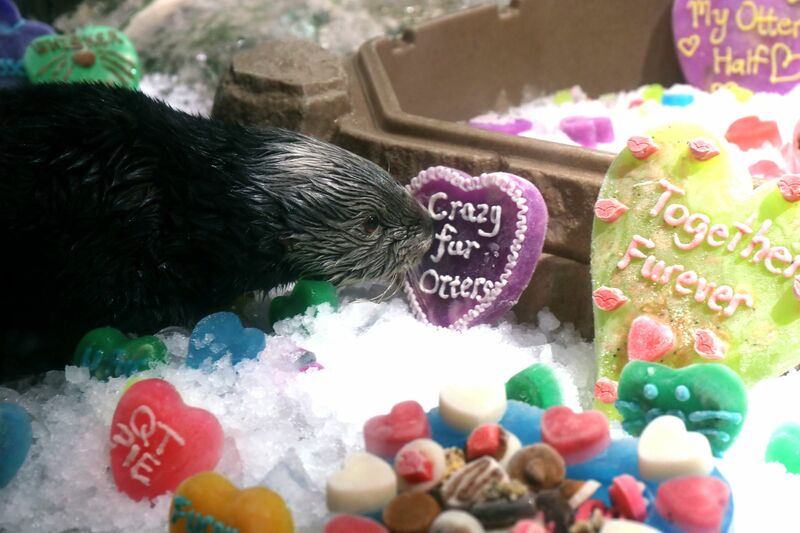 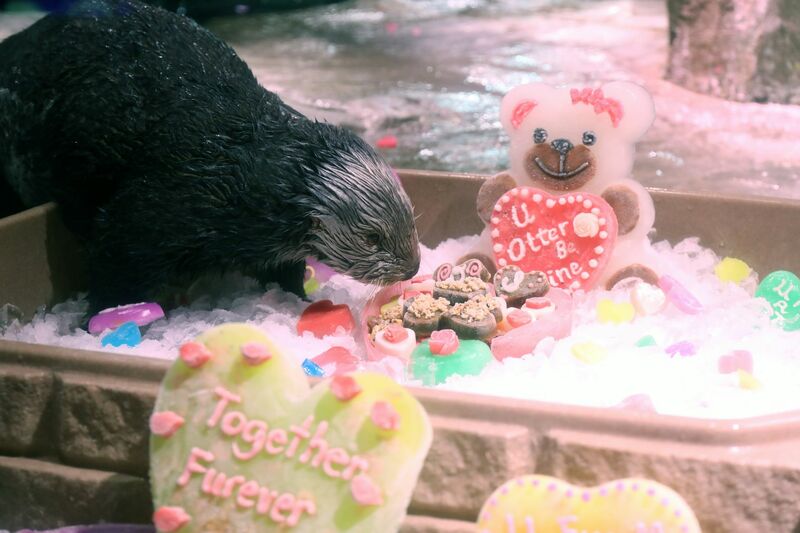 Our Southern sea otters enjoying Valentine's Day treats is otterly adorable! 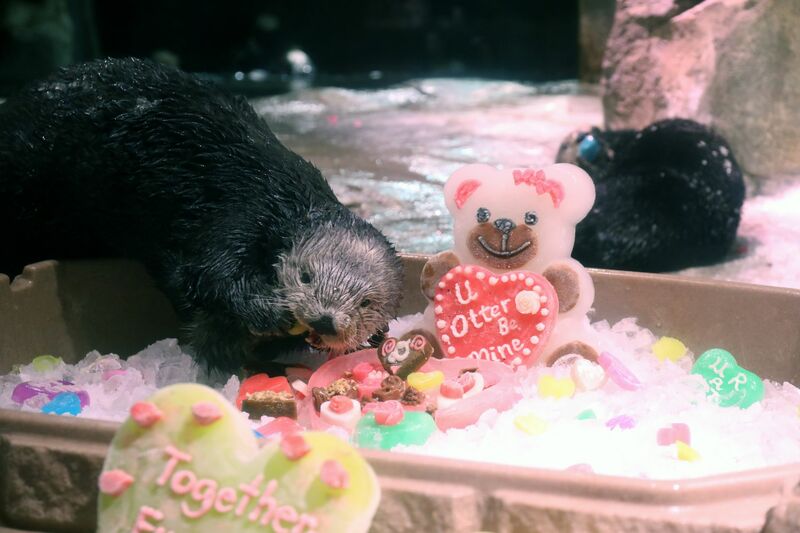 Georgia Aquarium staff shared the love for our animals by creating a unique and fun Valentine's Day themed enrichment. 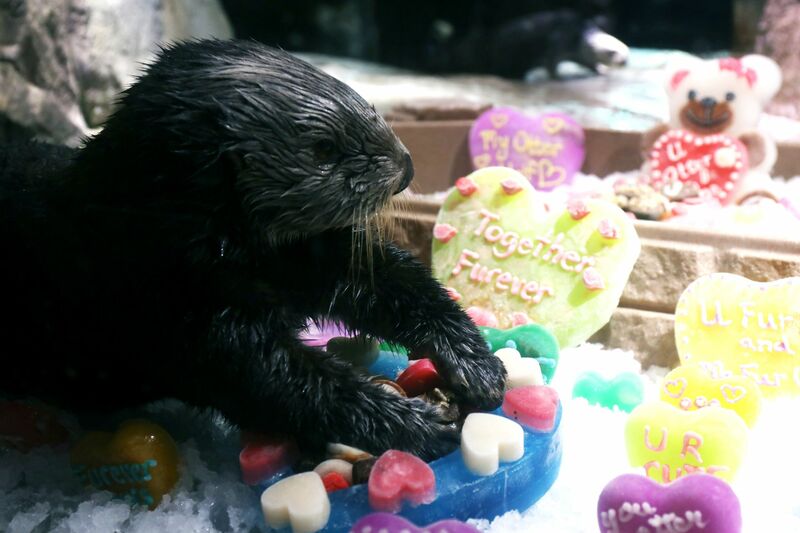 Animals are provided enrichment devices that stimulate them both physically and mentally, which help them grow and learn. 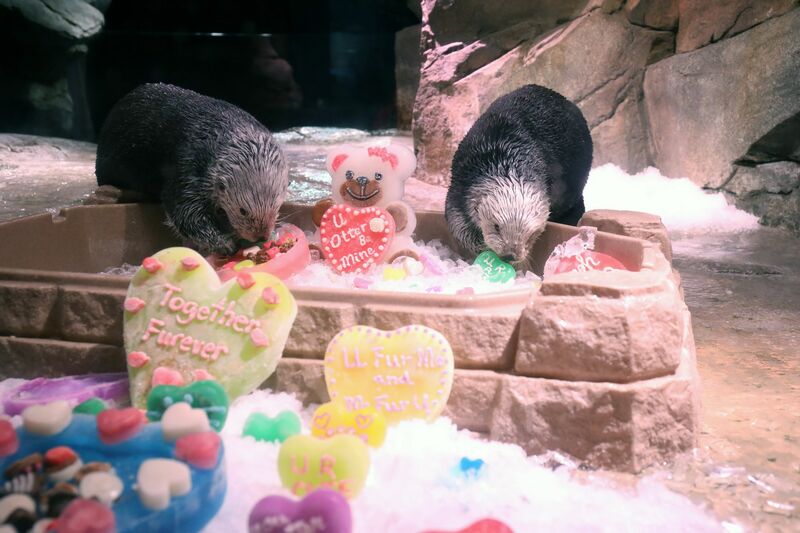 The hearts may look like candy and chocolate, but these ice sculptures are made of krill, scallops and more!